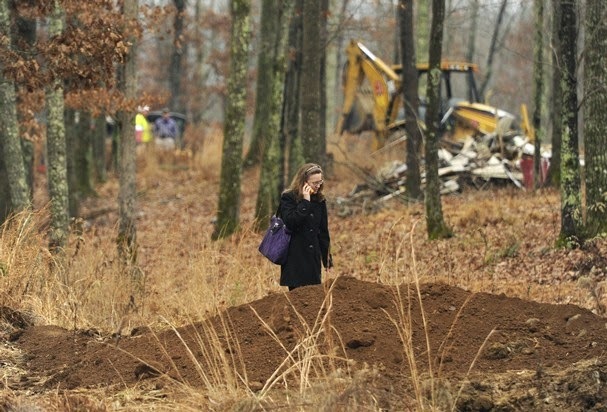 TENNESSEE -- The owner of a pet crematory, where investigators found dozens of dead dogs and cats in mass graves, is facing formal charges. According to court documents, a grand jury indicted Cameo Farr on three counts of violating the state's hazardous waste management act. Under that act, people can't dump solid waste in a landfill that doesn't have the proper permits. Farr is also facing a misdemeanor for violating Tennessee's air pollution control act. Investigators said Carr knowingly lied about how she was burning materials and her certifications, which are required to get a permit. She has already posted bond and is out of jail, according to the Morgan County jail. Farr owned Elliot Pet Services in Morgan County. In December, investigators uncovered the remains of animals on her property that were supposed to be cremated. The next month, Farr surrendered her permit to perform pet cremations. Friday, 10News sat down with a West Knox County woman who said she trusted Farr, and wanted to give her a second chance, despite the allegations. 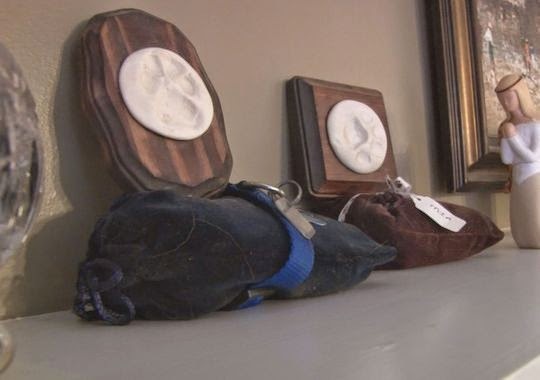 "She cremated and made paw prints for two of my dogs in past years. And in fact, she delivered them to me personally," said Donna Farnham. "So when Sandy died, I felt like what she was telling me was true. Farnham said Farr had told her it was a neighborly dispute, and claimed the allegations were false. Farr's attorney had told 10News a similar story back in December. "I'm the kind of person that will give someone the benefit of the doubt. So I believed her," said Farnham. "She said she would take very good care of Sandy, and have her back by Christmas. I gave her the money and as she was leaving I gave her a hug and I said 'Please, take care of my baby.'" Farnham said Christmas came, and she never heard back from Farr, despite dozens of phone calls. "I left message after message after message. She made it seem like she really cared, and she didn't," said Farnham. "I paid for the ashes, which is $150, and two paw prints, but I never got them." Sandy, a golden retriever over 16 years old, passed away in December after a stroke paralyzed her from the neck down. "She was a member of our family. There's no closure," said Farnham. "To the other people, it breaks my heart because I know how hard it is for me to not have her ashes. And it makes me think she and other dogs were just thrown in piles." 10News reached out to Farr's attorney several times Friday, but our phone calls were not returned. An initial complaint in September from a neighbor, who said they smelled a strong odor from the property, prompted an investigation. TDEC said Farr rescheduled six times before an investigator inspected the property. 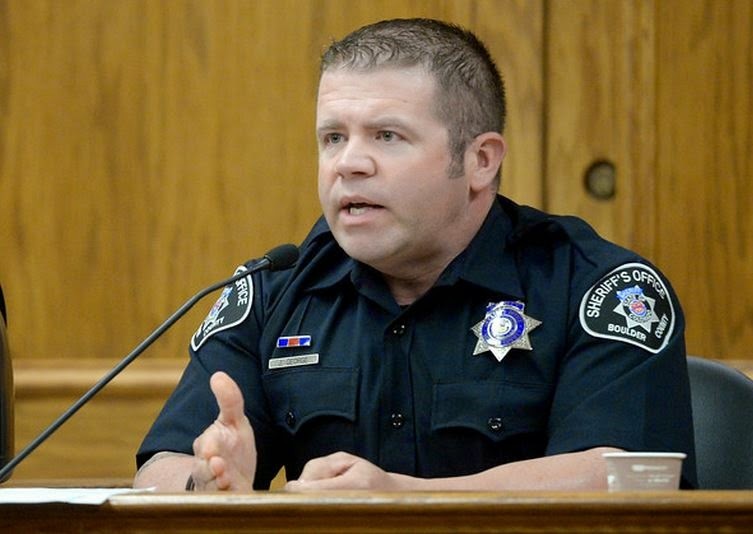 COLORADO -- A Boulder County sheriff's deputy testified Friday that ex-cop Sam Carter told him a "lie" by saying he had orders to shoot an elk in a Boulder neighborhood because it was injured in an accident. shooting of a trophy elk on Mapleton Hill in Boulder, Colorado May 30, 2014. 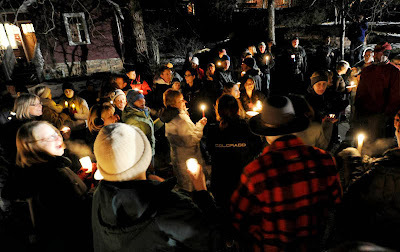 Carter's trial in the shooting of a trophy elk on Mapleton Hill in Boulder. After taking the stand in Carter's trial, Deputy Jeff George said Carter had discussed the elk with him prior to shooting it in Boulder's Mapleton Hill neighborhood Jan. 1, 2013. "He mentioned on approximately two occasions that there was a bull elk up in the Mapleton Hill area seen harassing dogs and people," George said. Carter, 37, is facing charges including attempting to influence a public official, tampering with evidence, official misconduct, illegal possession of a trophy elk and unlawful taking of a big game animal after he shot the elk while on duty. The trial centers on whether the shooting was a plot to kill a beloved trophy elk and cover it up, or an officer euthanizing an aggressive and injured animal. George said he met with Carter and a few other officers for coffee before going on shift the night the elk was shot, and he said Carter told him he was going to go look for the elk. "The way that I interpreted it, Sam had authorization to put the elk down if he saw it," George said. George said he got a text from Carter telling him he had located the elk. 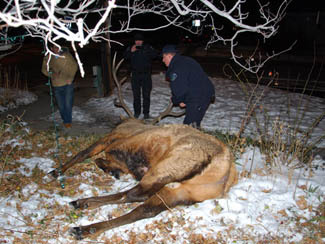 When he arrived on the scene, he said he was "very surprised" at how big the dead elk was. When asked by prosecutor Fred Johnson if Carter appeared to be "proud" of the kill, George said yes, and said the photo Carter took with the elk was "something out of a hunting magazine." 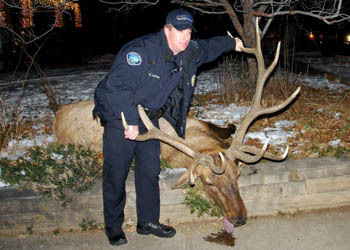 After helping load the elk into the truck of Brent Curnow, another former Boulder officer, George left the scene. He said he was "shocked" the next morning to see the elk all over the news and immediately called his supervisors. "Did you think something was up?" Johnson asked George, to which he replied, "Absolutely." George said he did not notice any injuries on the elk aside from the gunshot and saw no evidence of a car accident. When asked by Johnson if he believed Carter's initial story that the elk had been injured in an accident, George said that, in his opinion, "It was a lie." George also said in talking to Carter about where he was when he fired on the elk, Carter failed to account for the houses and sidewalk in his line of fire. "It was a very dangerous shot," George said. He testified that on previous occasions Carter had told him that if the Sheriff's Office ever had an elk carcass, "He'd like to have it." Mapleton Hill in Boulder, Colorado May 30, 2014. Boulder police officer Melanie Patterson, who also had coffee with Carter and George that day, said she thought Carter was just going to "go look at it." When she saw the story the next morning about the elk being shot, she texted Carter and he acknowledged he had shot it. Patterson said initially she was not surprised. 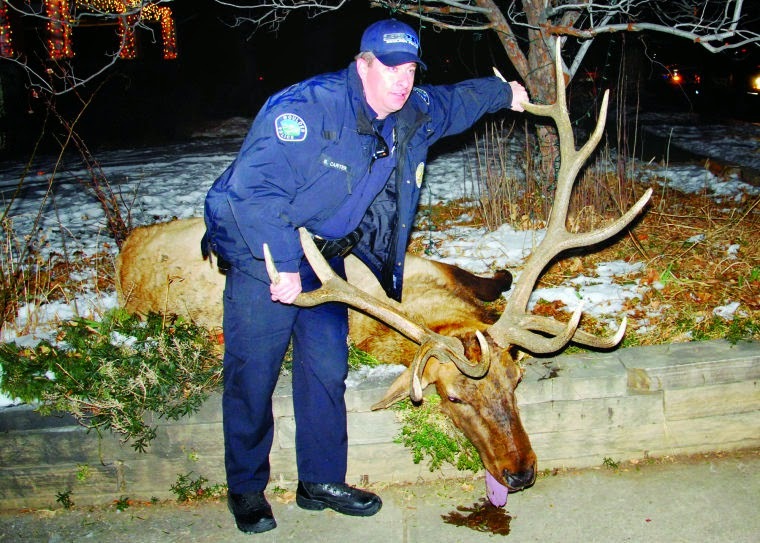 "I figured if officer Carter put that elk down, he had a legitimate reason to do so," Patterson said. Patterson said she assumed Carter would tell a sergeant about the elk, but when she came to the police station the next day her supervisors were still trying to figure out who had shot the animal. 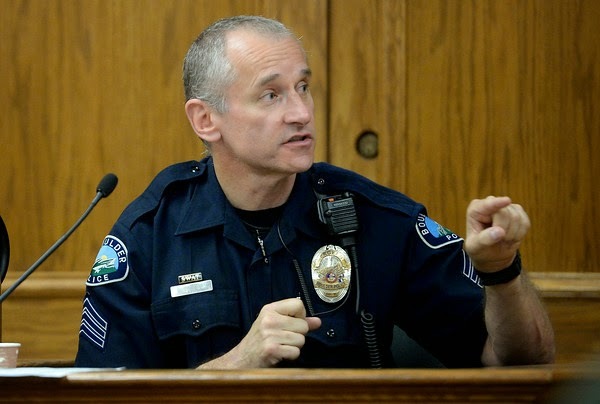 Boulder police Sgt. Alastair McNiven also testified Friday that he talked to Carter twice in the hours after the shooting and that Carter never mentioned shooting the elk, something he said he would have "expected" Carter to tell him. Patterson said she initially supported Carter but felt misled after media reports came out of the texts between Carter and Curnow. She also said Carter told her he had learned how to disable his GPS and even offered to show her how to do it in her police vehicle. "He didn't like certain sergeants knowing where he was," Patterson said. Ted McEldowney, emergency communications manager for Boulder police and fire, said there was evidence on the dashboard of Carter's unit that indicated a person had been moving it and had been "yanking" the GPS antennae cord in and out. On cross-examination, Patterson did say she had previously helped Carter and Curnow pick up a deer carcass after it was hit by a car. Carter and Curnow were on duty at the time and Patterson was not, and she came in Carter's truck to pick up the deer. In a separate incident, federal police officer Pete Rodriguez testified that, in 2008, while on patrol at Boulder's National Institute of Standards and Technology, he encountered a deer stuck in a fence but "very alive." Rodriguez said he called out for Colorado Parks and Wildlife, but Carter showed up instead and, upon getting out of the car, reached for his weapon. "I said, 'Whoa, what are you doing?' and he said, 'We just shoot them,'" Rodriguez testified. "But I told him, 'We're not going to shoot no deer tonight.'" Carter's attorney, Marc Colin, on cross-examination pointed out that Rodriguez described the scene in a report as a "murder scene" due to blood coming from the deer's antlers, which were still in velvet. "So what Mr. Carter saw was a deer hanging upside down, thrashing around with blood everywhere?" Colin said. The trial is expected to last several more days. 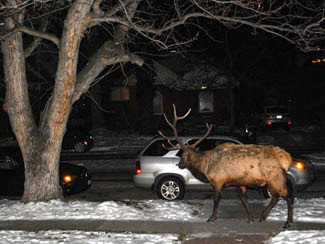 COLORADO -- In a stately neighborhood of Boulder, a city known as the Berkeley of the Rocky Mountains, a bull elk named Big Boy had become a treasured fixture. 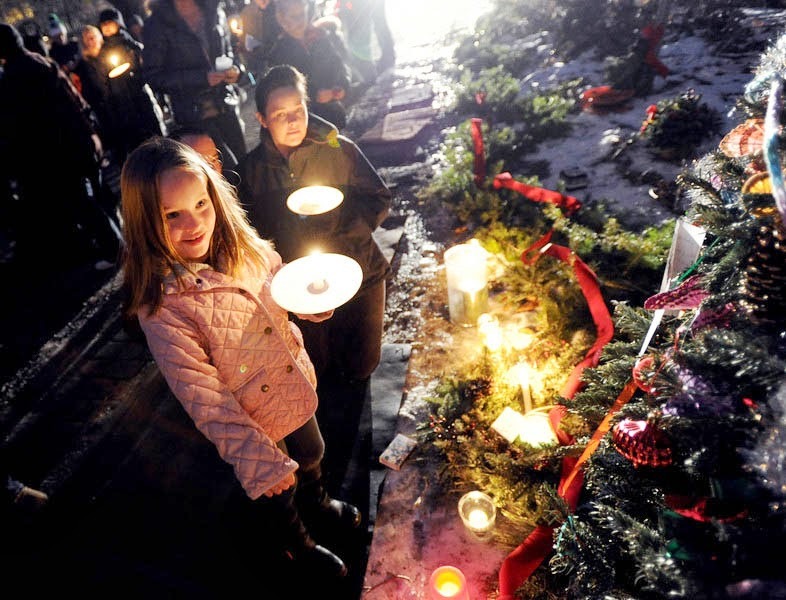 When Mapleton residents learned a police officer killed the regal animal last year as it grazed beneath a crabapple tree, they led marches, wrote songs, held prayer vigils and hatched plans for a permanent memorial. Now jurors must decide whether to convict the former officer on felony charges that could send him to prison. Among the questions they must answer: Did the elk deserve to die, and was there a cover-up? 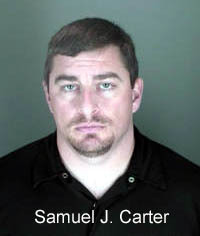 Sam Carter was charged with attempting to influence a public official, forgery and tampering with evidence after he shot the elk while on duty on a snowy New Year’s Day 2013. 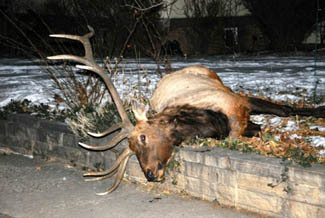 Prosecutors say Carter, fascinated with the elk, stalked it for days and sought to mount its head on a wall as a trophy. They said he shut off the GPS in his squad car when he shot the animal and failed to radio dispatchers his location. Prosecutors said Carter later forged a tag to pass off the dead animal as road kill. But his attorney, Marc Colin, said the elk had become dangerously domesticated and aggressive, frightening local dogs. The trial opened with debate over whether the elk’s prior “bad conduct” could be used as evidence, and whether jurors familiar with Big Boy could be impartial. 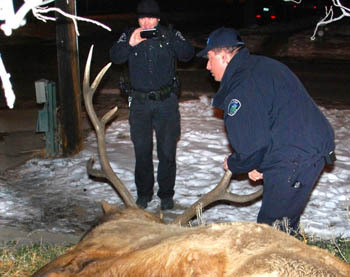 Officers lied, saying the elk was injured and needed to be shot. But if that were true, why was dispatch never notified? 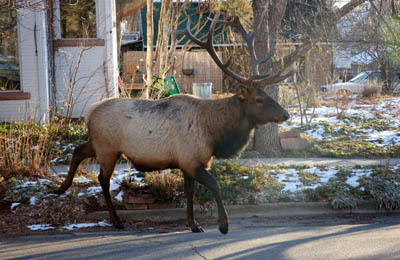 “Sam Carter is not guilty of anything but trying to protect citizens of Boulder from a nuisance elk,” Colin said, as some in the packed courtroom shook their heads. Prosecutors flashed a photo of the elk looking peaceful in a yard and later showed another picture of a uniformed Carter hovering over the animal’s carcass, grabbing its antlers and smiling. 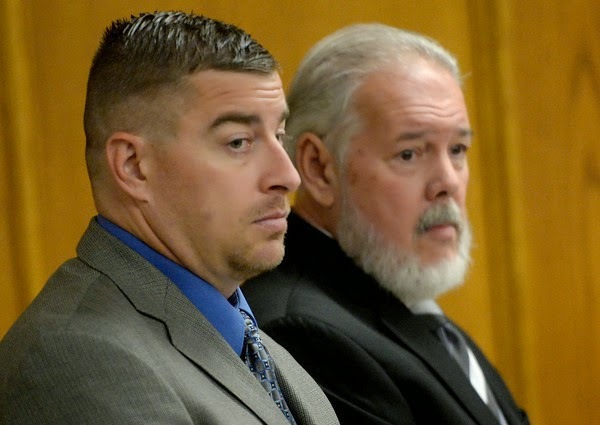 Prosecutors say Carter called another officer, Brent Curnow, to come cart away the body in his pickup truck, and together they butchered the animal for its meat. 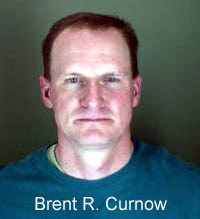 Curnow pleaded guilty last year to tampering with evidence and other charges and is expected to testify against Carter. 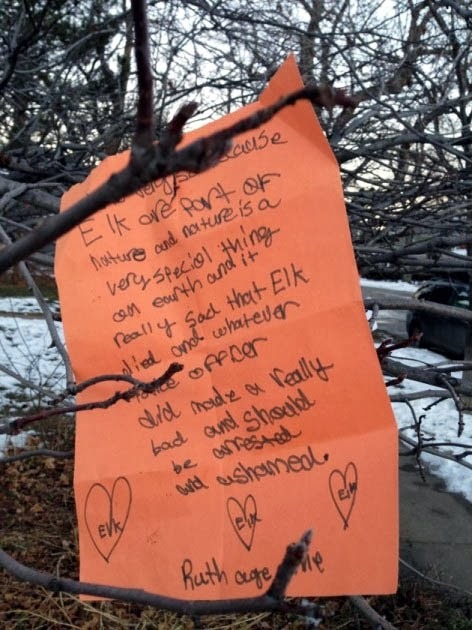 Witnesses who testified on behalf of the elk said the sight of the hulking animal was a highlight on countless hikes and jogs. Withers’ neighbors sometimes found it sleeping in their yards. She is helping raise money for a memorial bench, which she said will be cut from sandstone and have porcelain inlays bearing the elk’s likeness. 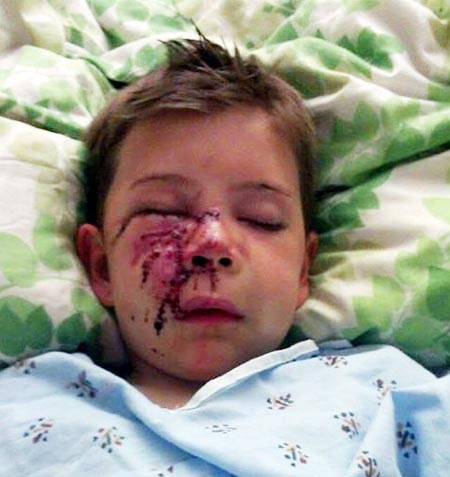 TENNESSEE -- A Maryville family has filed a $250,000 lawsuit against the Blount County Animal Shelter after a 7-year-old boy was severely injured by a pit bull adopted out by the shelter. The lawsuit was filed in Blount County Circuit Court May 2 by Samson Kim and Jennifer Kim. According to the complaint, on May 18 last year their son, Sport Kim, was at the home of an apparent family friend who had visited the Blount County Animal Shelter and adopted the pit bull. The lawsuit claims that handlers at the animal shelter had knowledge that the pit bill had vicious behavior, but told the friend that the dog was well-behaved and did not display any aggression whatsoever. The suit also claims that the shelter had insufficient information on the history of the dog to make a proper determination regarding its aggressive nature, but placed the dog up for adoption anyway. 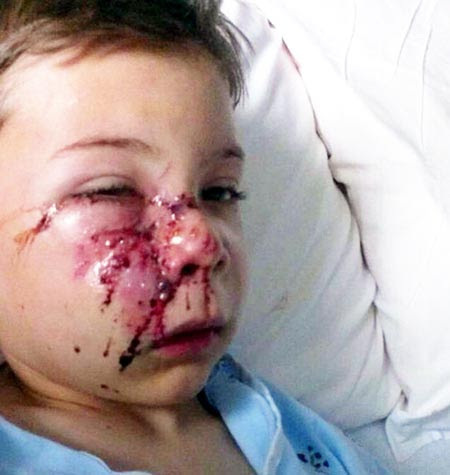 When the boy was in the friend’s home, he interacted with the dog, but the dog viciously attacked him, and his parents had to pull the dog off him. 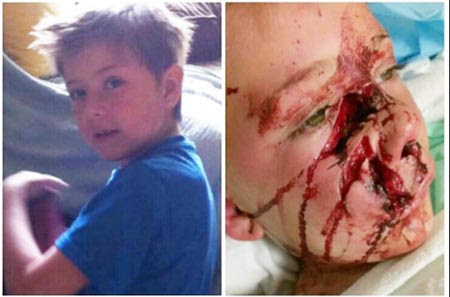 The boy suffered severe and life-threatening injuries as a result of the incident, including 1,000 stitches to his face and continues to undergo additional medical treatment, according to the suit. The Kims filed suit claiming the shelter was negligent in providing proper information that the knew the dog had questionable behavior, and should have warned the of the potential dangers. They also have financial liabilities for their son’s treatment, and are suing for those expenses and pain and suffering. Knoxville-based attorneys Tony Farmer and John P. Dreiser are representing the Kim family, while Craig Garrett, attorney for the Blount County Mayor’s Office, is representing the shelter. Neither party could be reached for comment on the case. 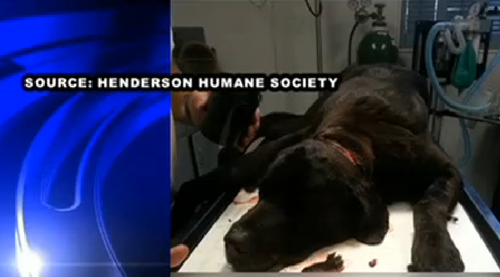 KENTUCKY -- A black lab is receiving medical treatment in Louisville after the Henderson County Humane Society says someone tried to cut it's head off. The Arrow Fund, based in Louisville, took another dog last week for treatment after Henderson Animal Control says it was hit by a car on purpose. 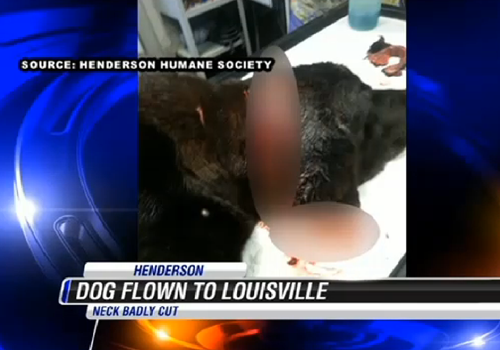 Thursday, the Arrow Fund took Hercules to Louisville for treatment after someone tried cutting it's head off. The humane society says someone brought the dog in after they saw him stumbling around their yard. At first, they thought the dog was accidentally injured but after the humane society took the dog to the vet, they found something much different. "He was looking at it and I said are you sure it couldn't have been from a collar or you know another accidental thing and he said and he said that he probably couldn't not have made a cleaner cut with a scalpel so he believed that it was very deliberate with a very sharp object," said Courtney Dosche. Animal Control is investigating and trying to figure out who did this. They say Hercules is expected to live. 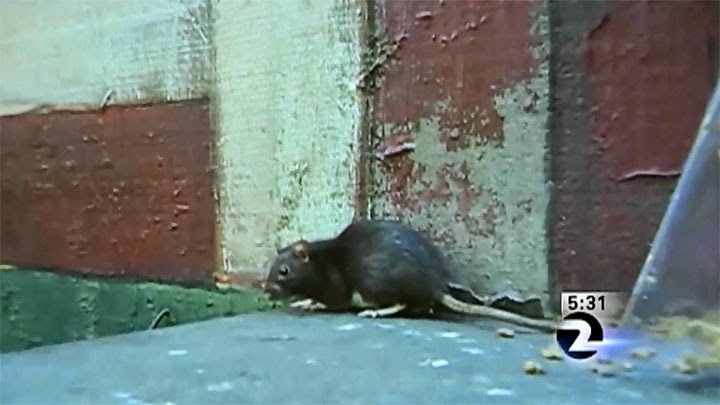 CALIFORNIA -- Authorities are trying to keep track of a San Francisco woman who was breeding rats in her room at a residential hotel then releasing them in public parks. But they say their hands are tied as far as trying to stop her. She's been nicknamed "Rat Girl" by the people who've followed her behavior over the years. The situation is no laughing matter, however, because her affection for rats could endanger her health and the health of the Bay Area public. Video shot in April of 2011 of a room in a San Francisco hotel packed with piles of filthy clothes, a dirty mattress and dozens of rats burrowing in and out of the debris was obtained on Thursday. Animal Care and Control officials say the then-resident, a 43 year-old woman known as "Erica J.," bred hundreds of rats in the room. 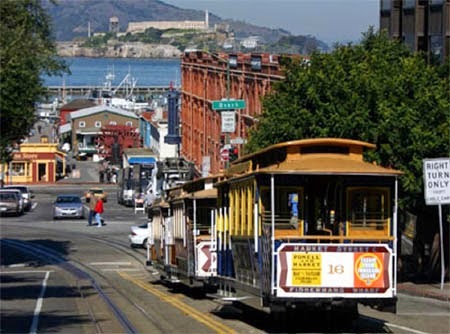 By the end of May 2011, San Francisco's Public Health Department said it had exterminated a thousand rats in the room and neighboring areas. "The rats have actually burrowed into other people's rooms," said Animal Care & Control Captain Denise Bongiovanni. "They can carry disease; they can carry parasites." "I was immediately concerned for the well-being of Erica," Bongiovanni said. "I believe that there's a serious underlying mental health issue that needs to be addressed and it seems to be unresolved." Bongiovanni said that in the last three years, Erica J. 's social worker, landlords and members of the public have reported her for breeding the rodents. At one point, Bongiovanni said Erica J. lived under a Japantown pedestrian bridge and brought her rats with her. "She had the rats living off of a cart and apparently some of them had escaped and were burrowing into an area near a pedestrian bridge," said Bongiovanni. "Our officer went out and tried to locate them and tried to collect them, but was unable to at the time." The latest incident happened May 8. Bongiovanni said a passerby reported Erica J. was living with at least eight rats in a park. Video shows rats eating out of a plastic bowl filled with dog food. 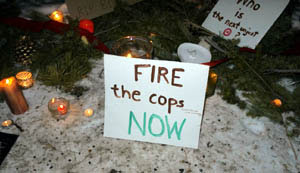 "The officer that responded noted that they had been there for some time. They had actually sort of dug a maze and had areas to tunnel and burrow," said Bongiovanni. "We collected seven, unfortunately I believe one of them was really sick and died in transport. We impounded the rest." Bongiovanni said the department has been able to adopt out some of Erica J. 's domesticated rats over the years. Sick and feral ones have either been euthanized or exterminated. Bongiovanni said the woman has surrendered some animals but suspects she hides others. "She has come across as being very anxious and always concerned that she could keep a couple of rats," said Bongiovanni. Animal Care & Control Department head Rebecca Katz told KTVU her department often has trouble tracking down Erica J. and said prosecuting her under the municipal code is unlikely to solve the problem. Bongiovanni said the woman needs treatment to prevent her behavior from harming herself, others and the rats. "We understand that Erica has housing again in the city and I can only imagine that this situation is probably going to continue wherever she lives until she gets the help that she needs," said Bongiovanni. [Alright. This seems to be an easy one. I don't know why a large city like SF doesn't seem to know their laws enough to do something about this nutbag. 1. Charge her with abandonment. Pet rats are considered specialty or exotic pets. Either way you can charge her with cruelty to animals for abandoning the animals -- doesn't matter if she claims she's 'releasing' them to freedom or whatever. 2. Charge her with cruelty to animals for cruelly confining the animals in these dumpy hotel rooms she's living in. Pets are required to be provided with food, water, needed vet care and clean, humane living conditions. Doesn't matter what she chooses to live in. She may choose to live like a pig but her pets don't. 3. When she has been charged, the judge has the power to force mental health counseling. She has hoarding issues, among other things, and the recidivism rate is 100% if nothing is done about it. The therapist/psychologist/psychiatrist will have to report back to judge whether she is making progress. If no progress, extend her probation. 4. If she violates her probation by refusing to see the mental health counselor or if they catch her with more rats, etc. they can pick her up for violating her probation and she will have to serve the rest of her sentence in a jail cell. 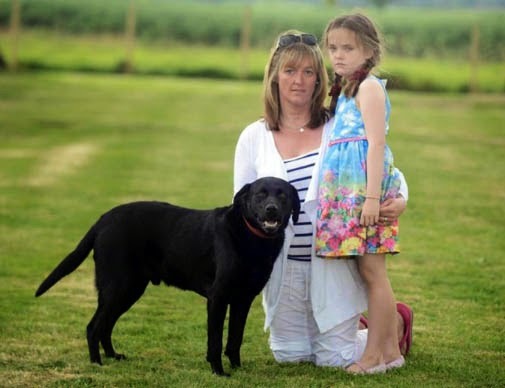 UNITED KINGDOM -- A FAMILY’S pet Labrador almost died after being savagely attacked by two dogs in a Hertford field. 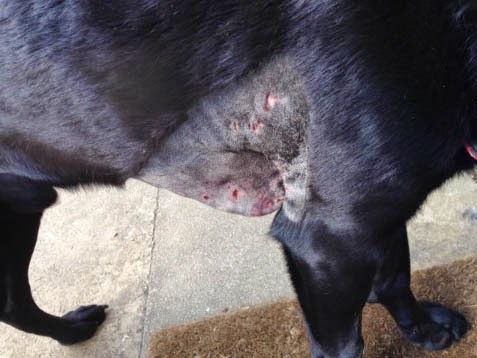 The pooch, Bruno, was subjected to a horrific attack in which the two animals pinned him to the ground and could have killed him if his owner hadn’t intervened. 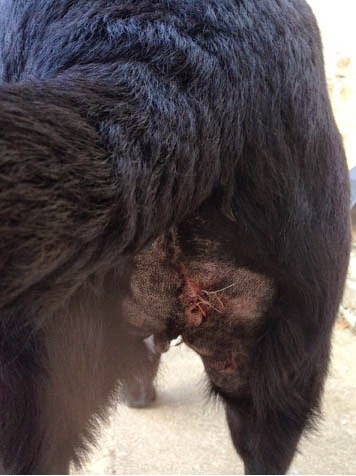 In the attack, Bruno had the muscle which connects his front leg to his chest almost torn off and he required 40 internal stitches. 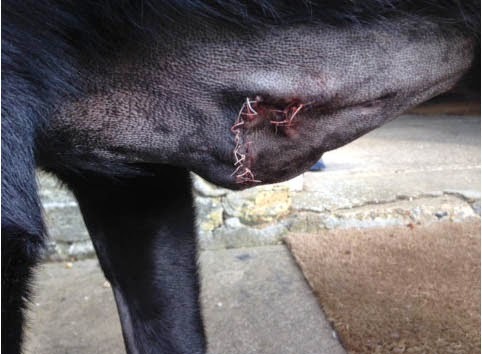 The injuries were so severe that Bruno’s owners were told by the vet who operated on him that he would have died if not for the life-saving emergency surgery carried out in the wake of the attack. 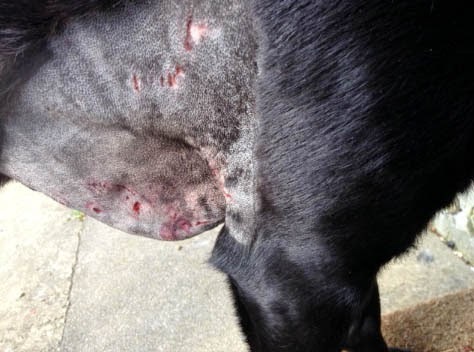 His owner, 48-year-old Ian Hamilton, of Bramfield, claims Bruno was attacked by a Rottweiler and an Akita. 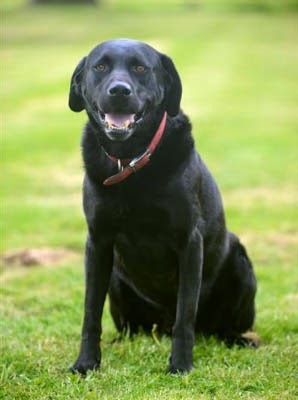 The incident took place on the morning of Sunday April 27 when he was walking five-year-old Bruno and his other Labrador, Rocky, who is nine, in the fields near his home. Mr Hamilton said: “It was truly horrific, I have never seen anything like it. Mr Hamilton said he was thankful his seven-year-old daughter Maddie was not with him at the time. “If she had been there I shudder to think what could have happened. The two dogs could have got hold of her,” he said. Fortunately, Maddie, who usually accompanies her father and the dogs on walks, had been at a sleepover at her friend’s house. Maddie’s mother, Liz Hamilton, 42, told the Mercury the safety of their daughter and other children was their biggest concern. Bruno has been making steady progress in his recovery. “Externally he looks fine but internally his muscles have to heal and get back into place,” said Mrs Hamilton. “Psychologically we don’t know how he is doing – the ordeal was pretty horrendous – but he appears happy and bouncy, but that’s just his nature. The family have called for the Rottweiler and Akita in question to be destroyed and for aggressive dogs to be kept on the lead and be muzzled when out in public. The matter has been referred to the police and anyone with any information regarding the attack can call the non-emergency number 101, quoting crime reference number A6/14/237. 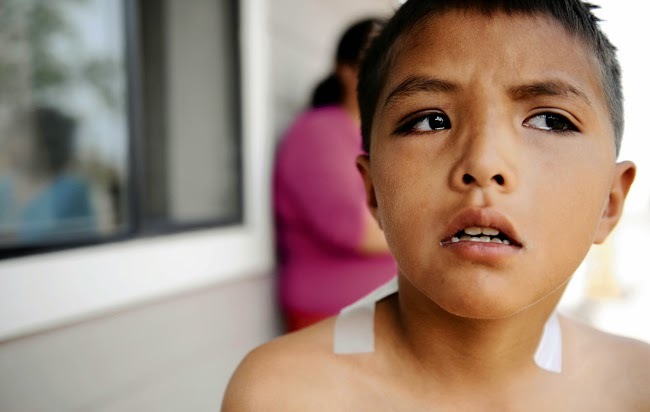 NEW MEXICO -- Nine-year-old Josiah Teller was standing outside his friend's door across the street from his home in Upper Fruitland when he was tugged to the ground by a white pit bull. 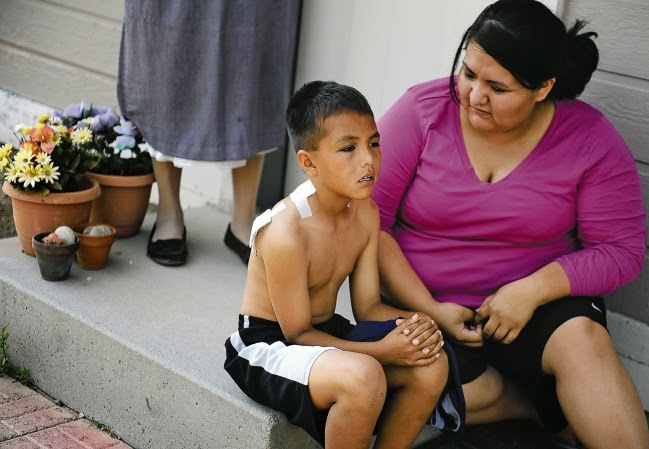 Josiah was whipped like a limp doll on Tuesday before his 10-year-old friend ran from the house. With each hand gripping the dog's jaws, the girl pried its teeth from Josiah's neck. A Navajo Nation animal control officer came for the dog that day. Josiah is now home from the Northern Navajo Medical Center's emergency room. 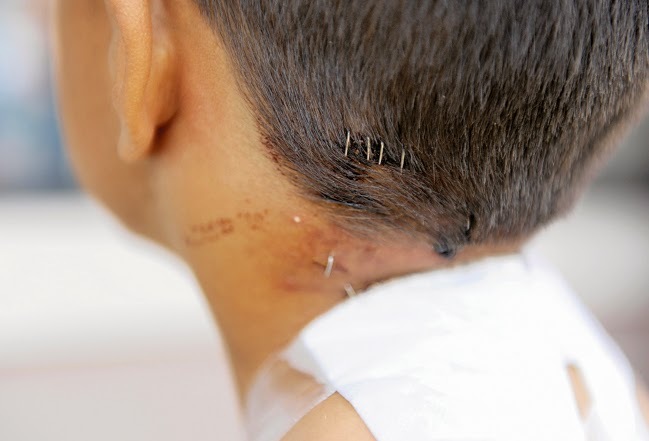 On Thursday he was resting inside with four silver staples in the back of his scalp and several more down the gash in his neck. "He is traumatized. Yesterday, he was in a daze, afraid, I think," said Wanona Theberge, his mother. "He cried a lot." Theberge said the dog's teeth nicked her son's carotid artery. Her son, she said, almost died. "What will it take for the Navajo Nation to begin protecting its residents from loose, violent dogs?" she said. "Does someone have to die?" The Navajo Nation is 27,000 square miles. Six animal control officers patrol that land, said Kevin Gleason, Navajo Nation wildlife law enforcement and animal control manager. And one patrols from the Shiprock office, he said. That is not enough to protect the more than 100 reservation communities, he said, "not even close." Reservation animal control has recorded almost 200 dog bites this year, and so far, he said, that's about the same as most other years. And those are only the attacks reported. "I think there's a lot that's not reported," he said. Animal control every month impounds, on average, 175 mostly stray or at-large dogs, he said. Officers for the first six months of this year have impounded 6,270 dogs, he said. The reservation has laws that dogs must be fenced in or leashed, but its animal control officers cannot consistently enforce them, he said. 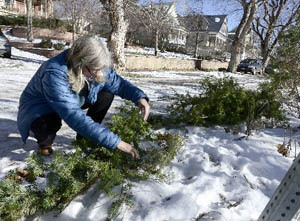 Now, Theberge is reluctant to let her children play off her property, and her neighbors are too. She said the family across the street will not let their children play outside the head-high wooden fence. Those children who are in the open outside are in danger, she said. The same day Josiah was bitten, a brown pit bull ran down her husband, she said. As she spoke from her stoop, her family gathered around her, a muscled brown dog trotted down the street. After the dog left, she walked past where it had been and up to the home where the dog that had bitten her son used to live. She knocked on the door, but a woman who answered the door would not speak to The Daily Times. Across the street, behind a bowed in chain-link fence, another pit bull barked at Theberge. It didn't stop barking until she walked away. "This is why we don't even walk in this neighborhood anymore," she said. MASSACHUSETTS -- The selectmen voted last Wednesday to seize and impound a dog that is owned by a person who lives on Washington Avenue because of complaints by neighbors that the boxer has been running loose in the area. After receiving similar complaints the selectmen held a dog hearing on March 5 and asked the owner of the dog to restrain it. But Animal Control Officer Elizabeth Botelho said that order was violated as soon as five days after the hearing. Town Counsel Clement Brown said the town sent a notice about the hearing to Susan Toomey, the owner of the dog, but she did not attend the public hearing last week. He said there was a record that she received the notice. Ms. Botelho said there had been numerous complaints about two dogs owned by Ms. Toomey but said the other dog has been put in another home. She said there have been complaints about the boxer being on the street, in other people's properties and disturbing people as they are walking or riding bicycles in the area. Since the March 5 hearing when the selectmen asked Ms. Toomey to restrain the dog to her property, Ms. Botelho said police and neighbors have seen the boxer loose in the neighborhood. She said she had three photographs of the dog not being restrained on its property that were taken on May 3. Neighbor Catherine Jean said she has had several encounters with the dog and she is concerned about any danger to her two children who are three years old and 15 months old. She said she has been on walks and could not go back to her house because she was afraid of the dog who was between her and her property. "It's just a safety concern," Ms. Jean said. 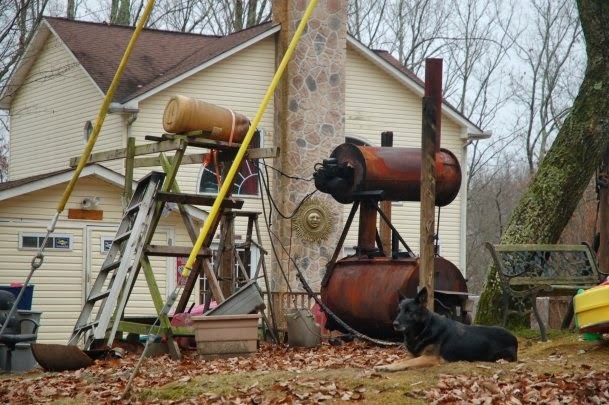 Ms. Jean said the dog has also used her property as its "personal restroom." "It's a continual problem," Ms. Jean said. Resident Anne Marie Bank said the dog is a nuisance. She said the dog has also been loose on Forest Street and County Street and that Ms. Toomey's sons have gone to bring the dog back to the house after it has gotten away from their property. "So they have no control," Ms. Bank said. Ms. Bank said the dog has also relieved itself on her property. Ms. Botelho recommended that the dog be brought to the animal shelter in Swansea where staff will try to find another home for it. If a home can not be found for the dog, she said the boxer would be sent to another facility where people go to adopt pets. Mr. Setters asked if the animal control officer has ever picked the dog up when it was loose. Ms. Botelho said no because the dog is always back on Ms. Toomey's property by the time she responds to complaints. Selectman Scott LeBeau said the dog has never shown viciousness, but said the owner has not been responsible for restraining it. He asked if the dog would be euthanized after the town seized it. 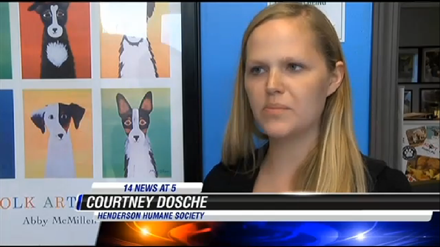 "The dog shouldn't have to pay for the irresponsibility of the owner," Mr. LeBeau said. Ms. Botelho said the dog would not be put down. Atty. Brown said Ms. Toomey has 10 days to appeal the decision of the selectmen. Ms. Botelho said the dog would be kept at the shelter during that time. Mr. LeBeau said it has been shown that the dog is a nuisance. Ms. Bank said there has been problems with the dog in the neighborhood for six years. Atty. Brown noted that when the selectmen held the hearing on March 5, they said that the dog could be seized if it was not restrained. Mr. LeBeau, who said he is an animal lover, said it is disappointing that a dog owner would be so irresponsible. "And she's had plenty of chances," Selectman David Berube said. ALABAMA -- One of Steve Klemetti’s fondest memories is when one of his dogs, Mae, had climbed into his lap as he was driving from a bowling tournament in Atlanta. “I just cry every time I think about it,” Klemetti said. 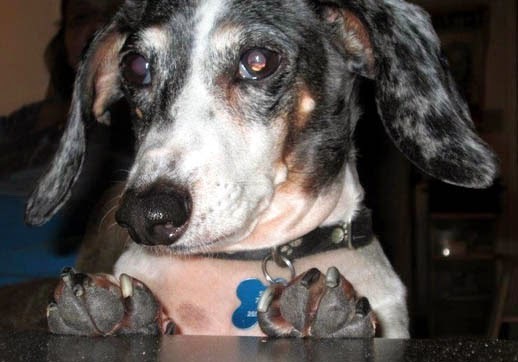 Mae, along with her mother and brother, were euthanized earlier this month after they had been involved in the death of Katie Morrison, 20, of Smiths Station, who was attacked by the dogs on April 28 at the Klemettis’ home in Phenix City. Morrison died May 3. Klemetti said the day of the attack, his wife, Victoria, was with Morrison, who had looked after the dogs before [this is why I created a "familiar with dog" label/tag]. Smiths Station. The dogs lived in Phenix City. When Morrison knelt down to pick up a tennis ball they were playing with, the first thing the dogs went after was Morrison’s ponytail. “I think what happened is that she had a ponytail and she reached down to get something and one of the dogs said “Hey, this looks like my rope toy” and jumped up,” Klemetti said. Klemetti said the mother dog, Emma, first leapt at Morrison and Mae and the other dog, Buddy, joined in. Klemetti said his wife had told Morrison to get up and tried to get the dogs away from her, but that she was afraid and the other dogs then jumped on her. Klemetti said it was his wife’s decision to have the dogs euthanized due to public safety, as well as concerns from the neighbors. Emma was nearly 4 years old, while Mae and Buddy were almost 2 years old. [Do you see how he specifically mentions PEOPLE? He has separated the past attacks on animals as nothing to be concerned about. He's one of those people who think that dogs attacking other animals is normal and that just because they attack and kill animals, they wouldn't dream of upgrading to a small child, an elderly woman.... a 20 year old healthy adult. WTVM interviewed several neighbors after the attack. Jodie Marshall said, "Even the animal control officer was frightened. They didn't know how they were going to get the dogs out, they were very aggressive." David Witt said he was not too surprised. "I figured that sooner or later it was going to come down to that because these dogs had previously attacked other dogs in the neighborhood, and it was just a matter of time before they went after a human," Witt said. Klemetti said many rumors have surfaced since the attack, the first of which being that the dogs were like the pit bulls found dog fighting circles. 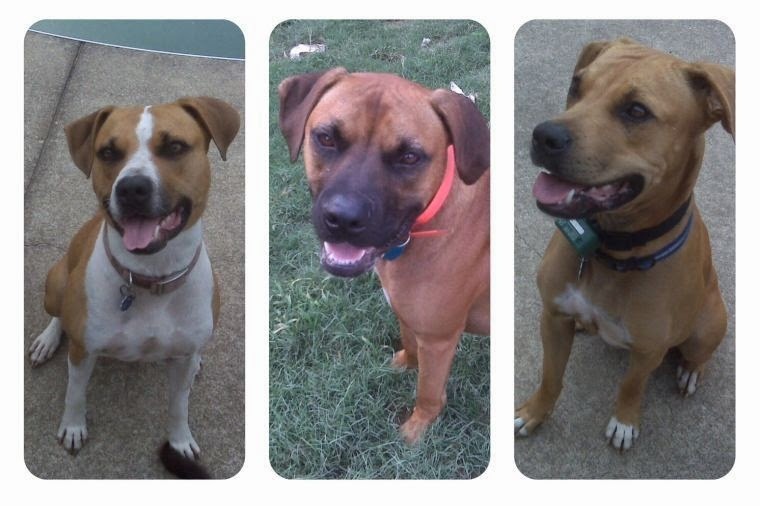 Klemetti could not identify the exact breed of the dogs, saying they were mixed breed. “Maybe everything has a mix of pit (bull) somewhere, but we don’t know,” Klemetti said. Klemetti said the last few weeks have been difficult for his wife. A future grand jury will review the case. No formal charges have been placed yet. CALIFORNIA -- An Orcutt woman pleaded no contest on Wednesday to one count of felony animal cruelty in connection with the stabbing death of a cat in January. Deputy District Attorney Chrystal Joseph told Judge Patricia Kelly that a disposition had been reached in the case against Nellie Marie Palacios, 43. 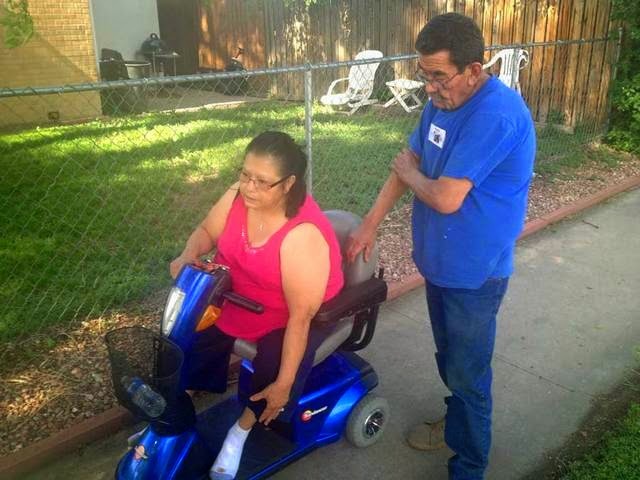 Joseph explained to the Orcutt woman that her no-contest plea is treated as a guilty plea. Senior Deputy Public Defender David Ogren, who is representing Palacios, thanked the judge for ordering a review of his client’s case by Judge Kay Kuns and Dr. Joseph Lockhart, a psychologist. As a result of the review, Kuns determined that Palacios was eligible for treatment court pending the outcome of her felony case. Palacios, who originally pleaded not guilty in February, changed her plea as a preliminary hearing date was to be set for the third time in her case. A preliminary hearing was set for April 16 and later vacated along with a May 14 trial date. The terms of her plea agreement with the District Attorney include five years of probation and the successful completion of an 18-month mental health program. During her probation period, Palacios is to refrain from drinking alcohol, taking unprescribed medication or using illegal drugs. Upon successful completion of the mental health program, the felony charge will be reduced to a misdemeanor and her probation will be reduced to three years, according to Joseph. Palacios was arrested on suspicion of burglary and animal cruelty at a residence in the 4600 block of Hummel Drive in Orcutt after a man, later identified as Palacios’ boyfriend, called 911. The man told authorities that his girlfriend entered the home and began removing paintings from the wall. He also reported seeing Palacios choke and stab a cat with a large kitchen knife. The deceased cat was located by Santa Barbara County Sheriff’s deputies in the backyard of the home inside an Igloo-style dog house. The knife was located underneath the dog house. 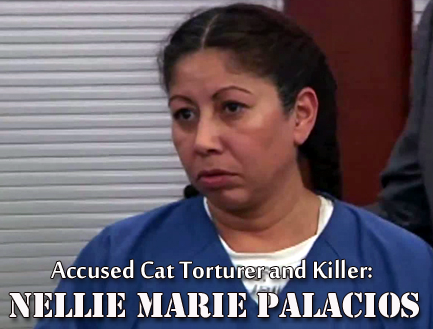 When questioned by law enforcement, Palacios, who was treated at a local hospital for scratches before being taken to jail, said she killed the cat in self-defense because it attacked her. Judge John McGregor released the Orcutt woman from custody in January on her own recognizance and ordered her to take mood-altering medications prescribed by a doctor and to report to a court-designated psychologist. Kelly ordered Palacios to continue following the terms of her OR release in addition to the terms of her plea deal. Palacios’ sentencing hearing is set for June 5 at 11 a.m. in Department 3 of the Superior Court in Santa Maria. New York: "Shelter lied about 'timid' pit bull before it bit my kids"
NEW YORK -- Officials at a Queens animal-rescue organization hid a pit bull’s menacing history from a New Jersey man who wanted to adopt it — and the dog ended up attacking his two young children, the distraught dad told The Post. One-year-old Melo suddenly locked his jaws onto Quin Martin’s daughter’s leg and nearly tore his son’s nose off just a day after they brought him to their Hampton home, he said. 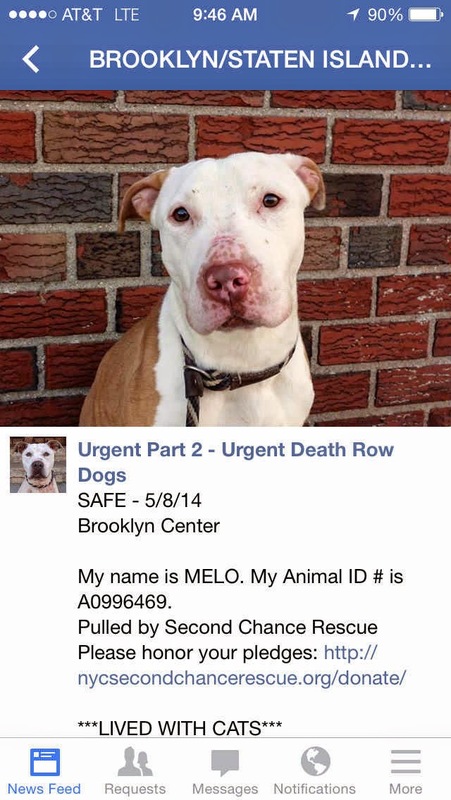 Martin said that Second Chance Rescue of White­stone minimized Melo’s aggressive traits before handing him over on May 14 — despite a report from the Brooklyn Animal Control Center that advised against placing him with kids. Melo suddenly became enraged and bit Jade, 9, on the leg while she sat on a swing in the family’s back yard, Martin said. Her courageous brother, Justin, 13, nearly lost his nose off after he pried Melo’s jaws from her flesh. Martin said both kids were rushed by ambulance to a hospital, where Justin needed five stitches to his face and Jade’s gnawed leg was patched up. The dog was put down. “My son was the hero in this,” Martin said. 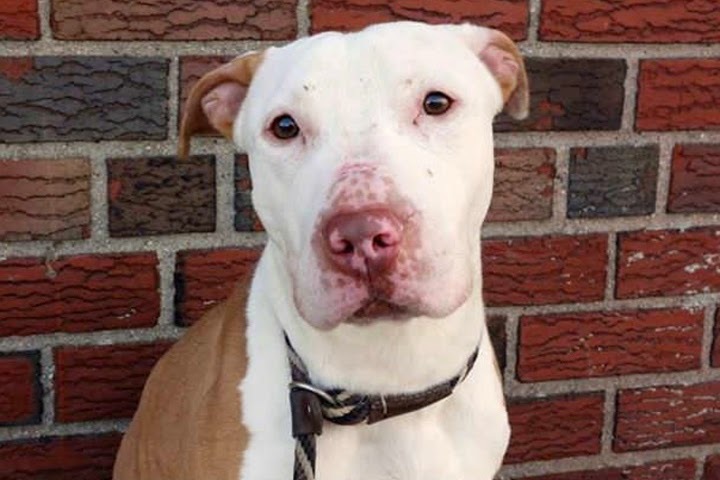 The pit bull first landed in Brooklyn ACC custody in April after his owner was evicted and could no longer care for him. But a May 6 ACC report claims a remarkable turnaround from Cujo to cuddly. “It seemed Melo had finally acclimated and was letting his guard down — revealing the sweet, playful affectionate boy I knew was always there!” the report says. Martin claimed that assessment was relayed to him by Second Chance Rescue officials while Melo’s troubling past was omitted. Second Chance did not return a call for comment. 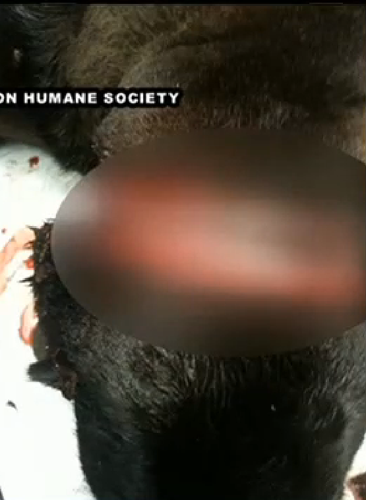 COLORADO -- The owner of a dog mauled to death by an off-the-leash pit bull says Animal Control is partly to blame. On Tuesday several people gathered in Englewood to rally for Sebastian. The dog was killed last week at a 7-Eleven. of blocks and then get tired and ride on the scooter by my legs." The dog’s owner, Eileen Trujillo, witnessed the horrific attack and equally horrific death of her beloved Sebastian. She says she wants to see the pit bull’s owner held responsible, along with Animal Control. She says officers should have caught the loose dog. 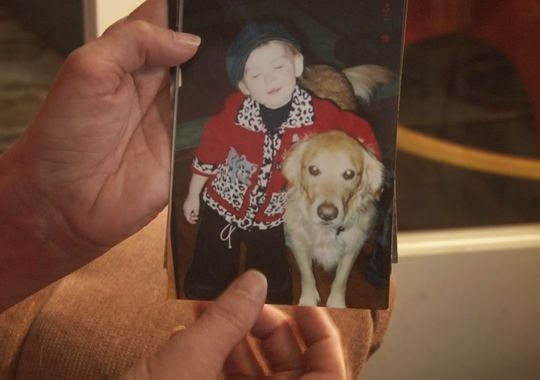 “It could have been a child, you know, if that dog was vicious, it was going to attack whoever. You know Sebastian was just the unlucky one,” Trujillo said. “The city needs to file this as a criminal case. The owner needs to be held accountable,” activist Jeffrey Justice said. The pit bull was quarantined for several days, but is now back with its owner. The owner is expected to appear in court next month. Someone has donated a new puppy to Trujillo. She says the puppy is helping her cope with the Sebastian’s death.